B.C. Premier John Horgan (left) and Liberal Leader Andrew Wilkinson are set to go head-to-head in a televised debate on Nov. 8, 2018. VICTORIA - The leaders of B.C. 's two main political parties square off tonight in a debate on electoral reform. 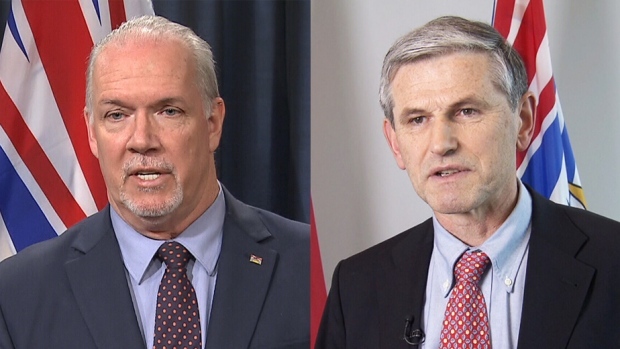 New Democrat Premier John Horgan and Opposition Liberal Leader Andrew Wilkinson will face each other in a televised debate. Voters have until the end of this month to decide whether they support proportional representation or the current first-past-the-post system. Electoral systems expert Richard Johnston says the province has seen decades of electoral dysfunction that produced lopsided victories and made losers out of popular-vote winners. 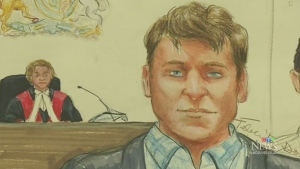 He says understanding the history of vote reform in B.C. requires a look back almost 30 years to the 1991 election that saw the Liberals emerge from nowhere to Official Opposition status. Johnston adds the 1996 election saw former Liberal leader Gordon Campbell receive more votes but lose to the NDP's Glen Clark. The referendum is B.C. 's third on electoral reform, with votes in 2005 and 2009 both ending in defeat. Horgan will debate in favour of proportional representation, while Wilkinson will argue to vote to keep the current first-past-the-post system.